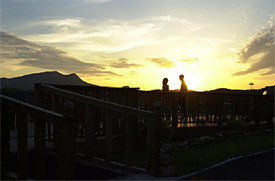 Hotel Pigeon Forge Inn & Suites is nestled among the Smoky Mountains. Providing a beautiful backdrop to your day. View the Smoky Mountains from our 48-foot deck, or from our heated pool area. Walking distance to several restaurants from the pigeon forge hotels. 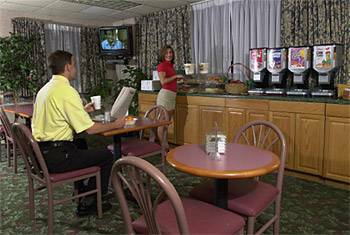 Our Pigeon Forge Hotels such as this Inn & Suites is located on the main parkway in Pigeon Forge. We're next door to Country Tonite Theater, Black Bear Jamboree and The Memories Theatre. Only 2 miles from Dollywood and Dixie Stampede and only 6 miles from the Great Smoky Mountains National Park. Let us be your host. 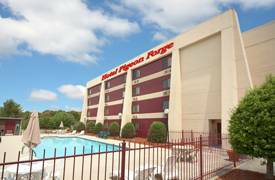 If you are Looking for Hotels and Motels and a vacation package, the smoky mountains, lodging and accommodations at Hotel Pigeon Forge is the place to stay. Smoky mountain vacation package includes 2 nights lodging and 2 Adult tickets to Pigeon Forge & Gatlinburg local attractions. A great saving when you book a package with Hotel Pigeon Forge. From Knoxville: Take I-40 East to Hwy. 66 (Exit 407). Take Hwy. 66 South to Sevierville and US 441 Parkway. Take US 441 Parkway South to Pigeon Forge. Hotel Pigeon Forge is located between traffic light #0 and #1. On the east side of the parkway beside O' Charley's Restaurant.